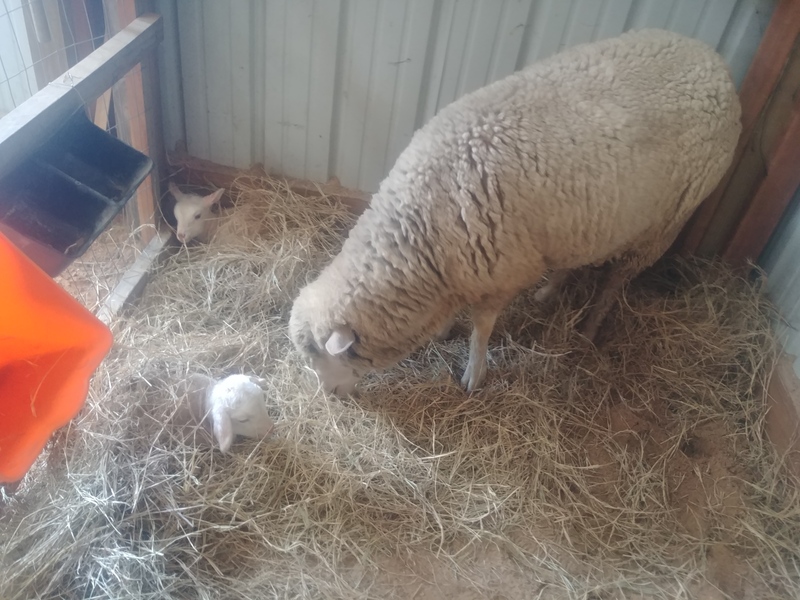 When it comes to our momma sheep and their babies, there appears to be a trend developing at Whirldworks Farm. It would appear that cold fronts that blow in on Sundays bring out the lambs! Last year pretty much all the babies came to us under these conditions. Last weekend a cold front blew in Saturday night and Sunday morning Wanda was standing tall and proud with her new baby, Ansel. 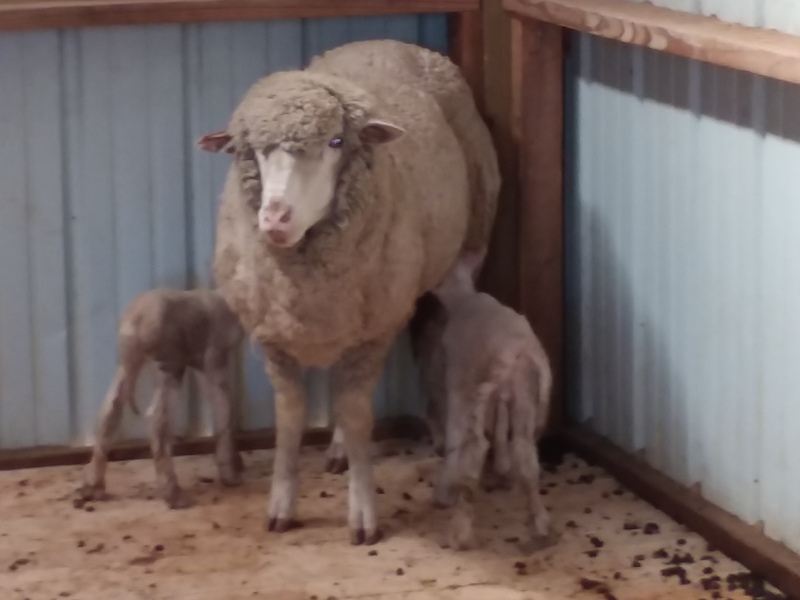 This weekend, a cold front blew in again on Saturday and this morning we found Wendy standing even more proud with her twin babies, Ari (boy) and Ariel (girl). It is interesting to note that last year Wendy had a set of twins ( a boy and a girl) as well. All our other ewes, so far, have had singles. 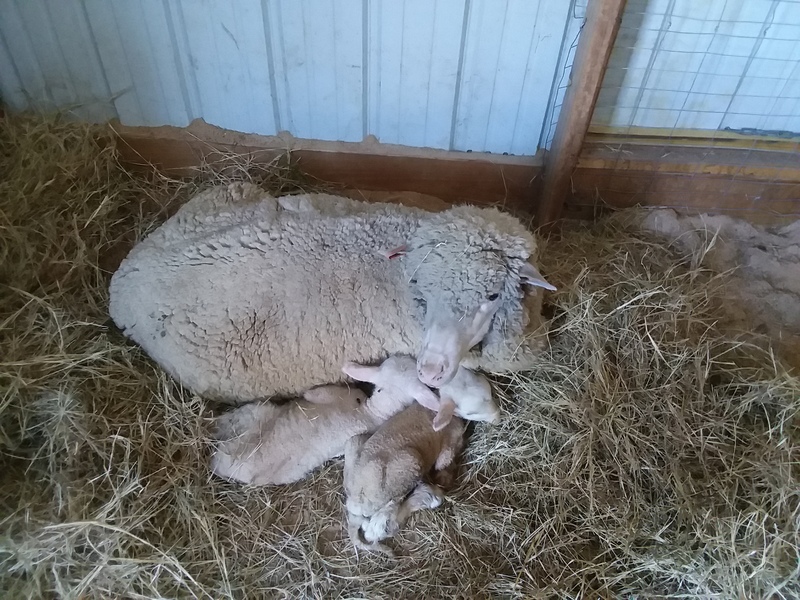 Time will tell what other lambs are in store for us this year, but needless to say, it is a very exciting part of our year. It is strange but true how weather can bring on the babies! Congrats!